Many shotgun manufacturers recommend storing shotguns with the cocking springs tension let off. This can add to the functional life of the shotgun and keep it in optimum working order. Our snap caps are made with beautiful brass heads, which has spring loaded firing pins for the ease of tension that is released when a shotgun is fired. 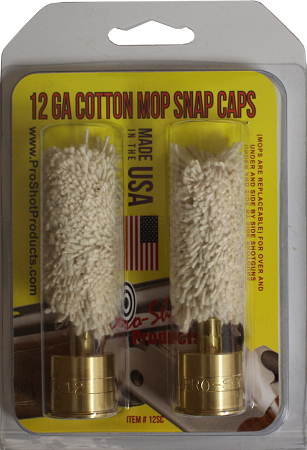 Pro-Shot's quality brass snap caps have cotton mops with natural lanolin that fit into the chamber area for chamber rust protection. Oil such as Zero Friction may be added to mop for extra rust protection.